The main clincher for the film revolves around Adelaide (Lupita Nyong’o) and her family of four moving into their new summer home in beautiful Santa Cruz, California, where Adelaide just so happens to have spent much of her childhood. From the get go, we notice that Adelaide seems to be dealing with a lot of underlying trauma and stress that is directly tied to the boardwalk and beach in Santa Cruz. Later the family discovers each of them have four identical doppelgängers who are relentlessly hell-bent and murdering each one of them. Adelaide’s past plays a large part in the first act of the film. Her husband, Gabe (Winston Duke), was clearly written as the main source of comic relief throughout the film. The jokes cracked during the horrifying and traumatizing moments created dysfunctional and contrasting tones in the film. However, the way the film resonates with the audience and is powerful enough that those comedic moments aren’t affecting the impact of the film. There is the obvious literal level. It is a home invasion horror film that creates the terrifying feeling of being hunted by something you cannot explain. On another level, the film becomes a symbolic work as it addresses a number of issues with skill and finesse. Some themes and symbolism that stood out throughout the film are ideas of class conflict and class division in America. This includes the way that marginalized and impoverished groups are viewed and treated by the majority of this country and how trauma can deeply affect us. The third act of the film decides to venture into some mind-bending territory. While there were some logical discrepancies anyone could point out with certain plot points, at the end of the day these discrepancies don’t really matter all that much. 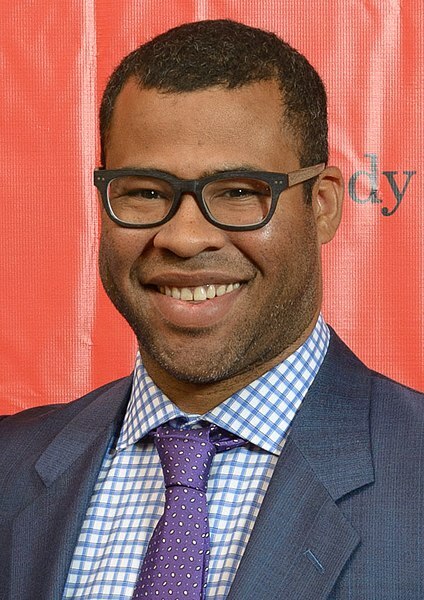 Peele is a director who is more concerned with concepts rather than logic when it comes to a film of this style, and those concepts are perfectly handled in this film. “Us” is another original horror film that tackles real issues to great avail and it’s another homerun for the supposedly new master of suspense in Hollywood.